"Animas Foot and Ankle were very friendly and informative." "Everyone in the office is friendly and makes sure I am informed with the details..."
"Always professional and friendly. Great experience all around!" "The office is always positive, friendly and comfortable." 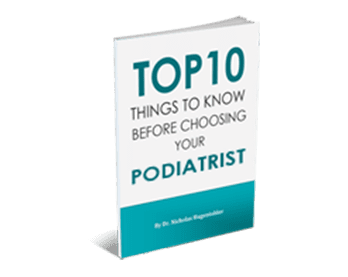 Choosing your podiatrist is an important decision and can mean the difference between getting mediocre results and living pain-free. Download Dr. Hugentobler’s eBook to learn more. Has your big toe developed an unsightly knob on the side that makes wearing your regular shoes uncomfortable? 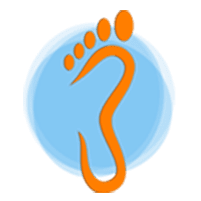 If you’re wearing sandals in the winter because your toe hurts, it’s time to visit the doctor; you likely have a bunion. Don’t suffer with heel pain and assume it will just go away. It could signal a condition that needs medical care. Read on to learn when you should see a doctor to address your heel pain. Did You Know Custom Orthotics Can Relieve Lower Back Pain? When you have back pain, do you consider how your feet and ankles could be a contributing factor? Animas Foot & Ankle in Colorado shares how custom orthotics can help relieve your back pain. Any time you need medical care, it helps to know whether your insurance is accepted by the office you’re planning to visit. At Animas Foot & Ankle, we’re happy to inform you that we accept most types of insurance for your convenience. If you happen to be on a plan that we haven’t worked with before, we’ll do the necessary paperwork to make sure your treatment is covered by your insurance. If you don’t have insurance, we offer flexible and affordable payment options.